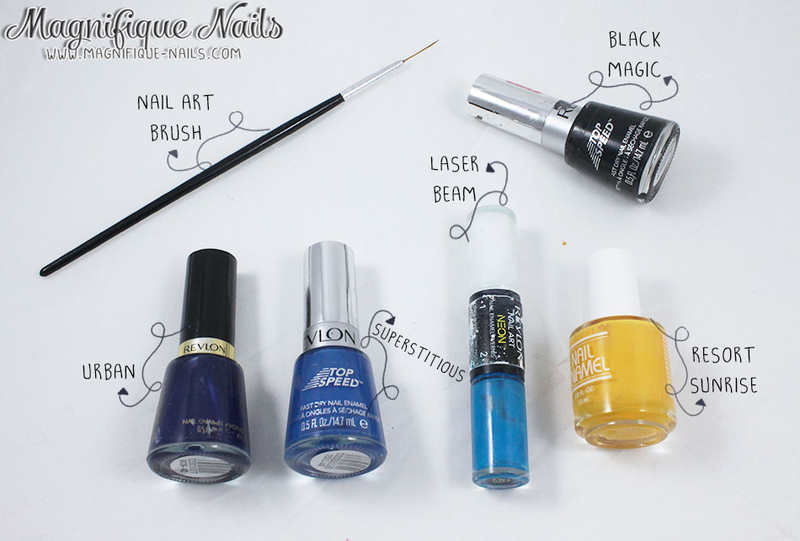 Magically Polished |Nail Art Blog|: Happy Three Kings! Hi Guys! Sorry for not posting for a while, but every blogger worst nightmare is when they find out their computer is not working. Luckily it's now fixed and ready for rumble. So today I wanted to post up my nails I did for this special occasion: The Three Kings Day. 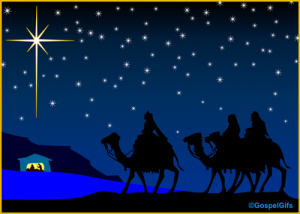 On every January 6th my family and I celebrate the day the Three Kings arrived to see the newborn king. Now I'm truly going out of the whim here, since I don't really consider myself an artist (I'm my worst critic! Sorry :/) I wanted to challenge myself by doing the same on the photo (below). I have to say I really outdid myself. So for the base I applied one coat of Revlon Neon Duo White, onto all the nails. Once the polish dries, with a makeup sponge I added three layers of blues for the night background. I used Revlon Urban, Superstitious and Laser Beam, in order. I dabbed each nail repeatedly so the base was no longer visible. 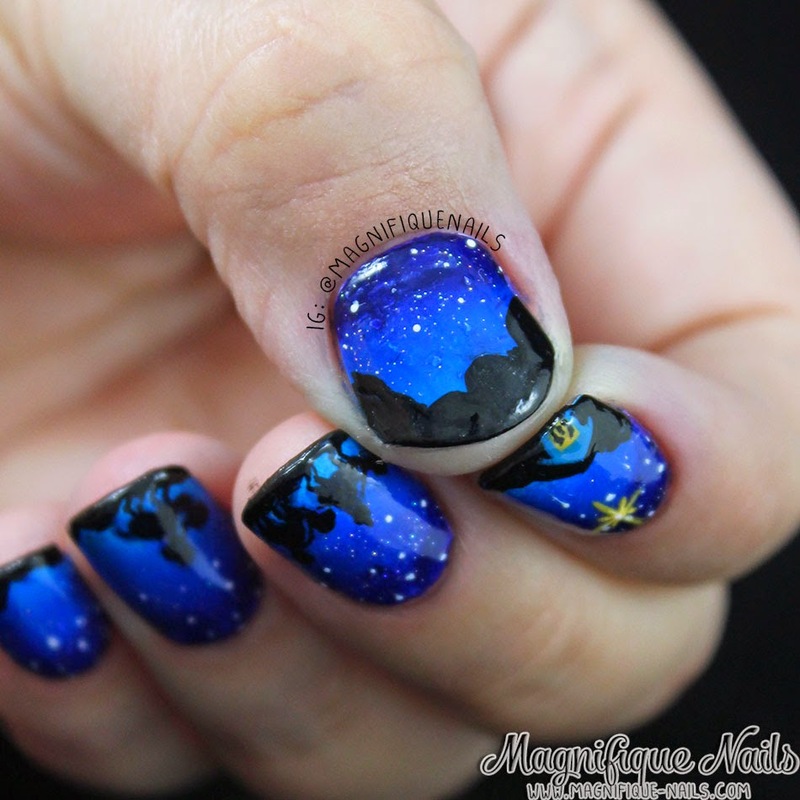 Once that dries, I applied one coat of Out the Doors Hologram Top Coat, for some sparkling stars. I also added a few dots for more stars. 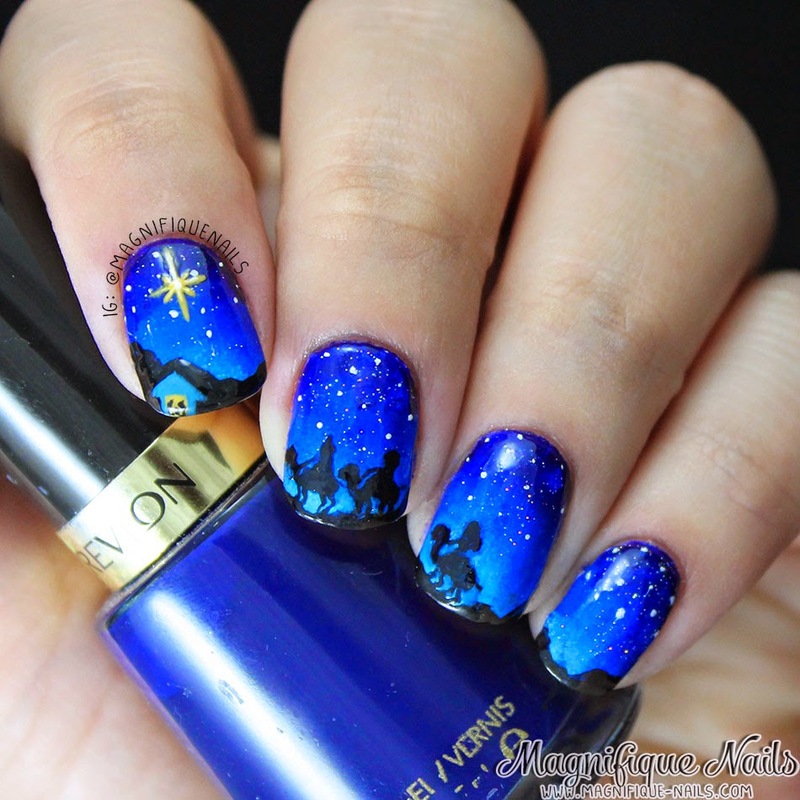 Now for the details, with a nail art brush, I added the black mountains using Revlon Black Magic. Using the same colors and tools, I drew the Three Kings and the camels. They weren't perfect, but I really loved how they turned out. Then, I added the North Star (my favorite) using Bettina Nail Enamel Resort Sunrise and the little house. Lastly, I then sealed the design with Duri- Super Fast Dry Through Top Coat, that's it! Overall I really enjoyed doing these and the challenge behind it! Hope all of you enjoyed my post today!